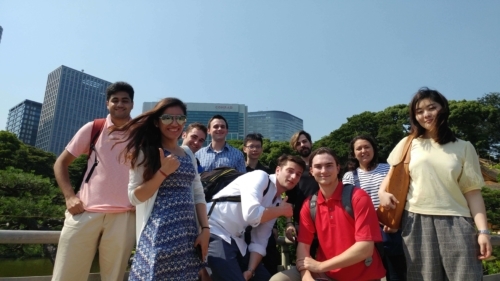 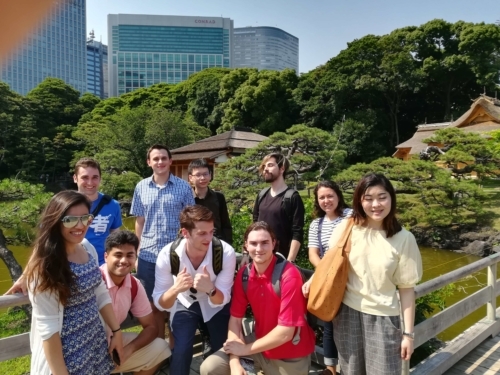 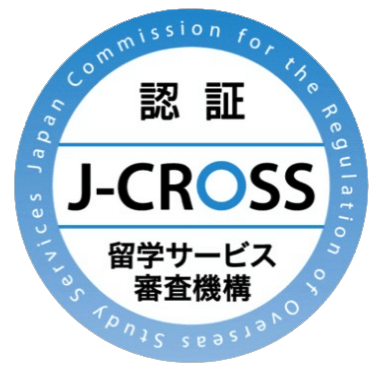 Japanese Business can be a tricky concept to grasp without help, which is why we decided to show the IIJ Summer Program interns about the traditional Japanese Business style versus a more modern workplace. 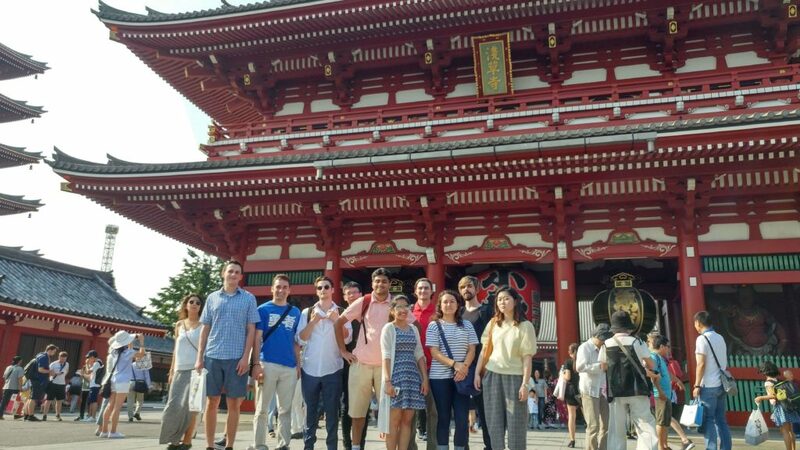 We also visited the ancient temples in Asakusa, trekking up the people-filled shopping street, while tasting various Japanese delicacies along the way. 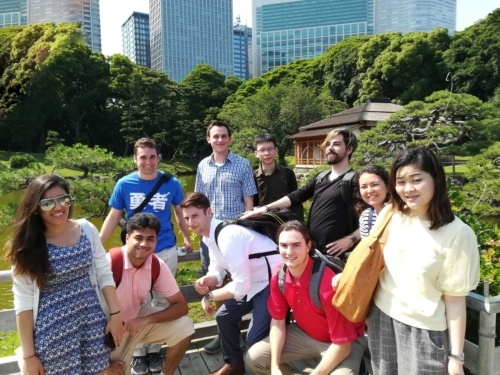 Then we said a prayer at the top of the shrine and some people got their fortunes told, and those with not-so-good luck opted to buy some protection charms. 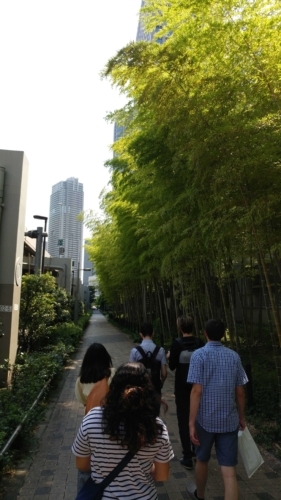 Afterward, we continued the tour into the modern city centre of Tokyo.